Halfway through my trip to France I got a sore throat, which turned into an ear infection. By Sunday night I had blood and puss dripping out of my ear (gross, I know). I am going through some pictures from the trip and I found this little gem. I think I just discovered how the germs got in. 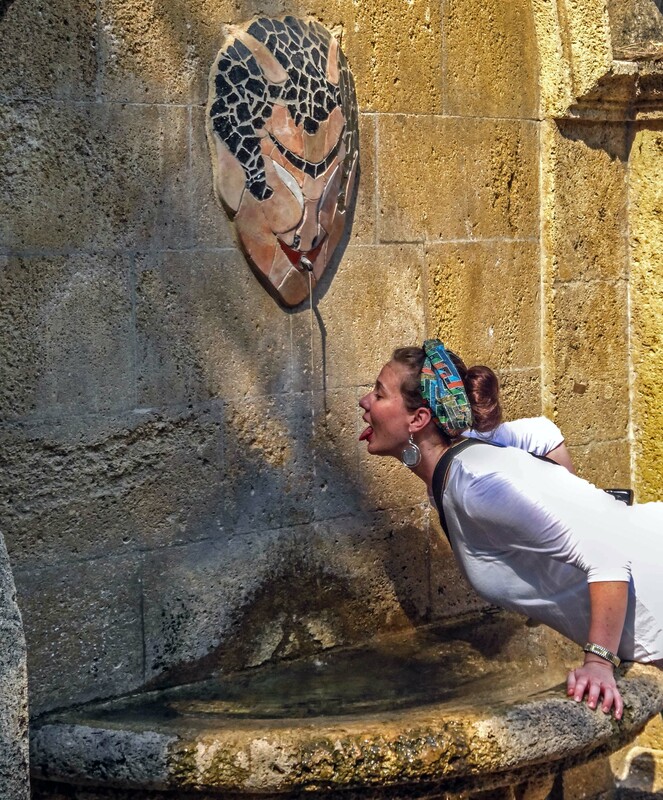 Traveler’s Tip: don’t drink out of questionable looking fountains no matter how thirsty you are. That is, unless you like blood and puss dripping from your ear. This entry was posted in Uncategorized and tagged France, Nice, Travel. Bookmark the permalink. Yikes!!! Hopefully your all better now, I’ve drank from fountains in Italy but …hmmmm beware warning heeded.